Aqua GeoServices Ltd. (AGS) is an independent hydrogeological and environmental consultancy, specialising in groundwater and surface water related issues. Aqua GeoServices work directly to a wide range of customers from small private sector clients to large international companies, as well as government agencies and local authorities, and needed a website to match their long-standing excellent reputation. 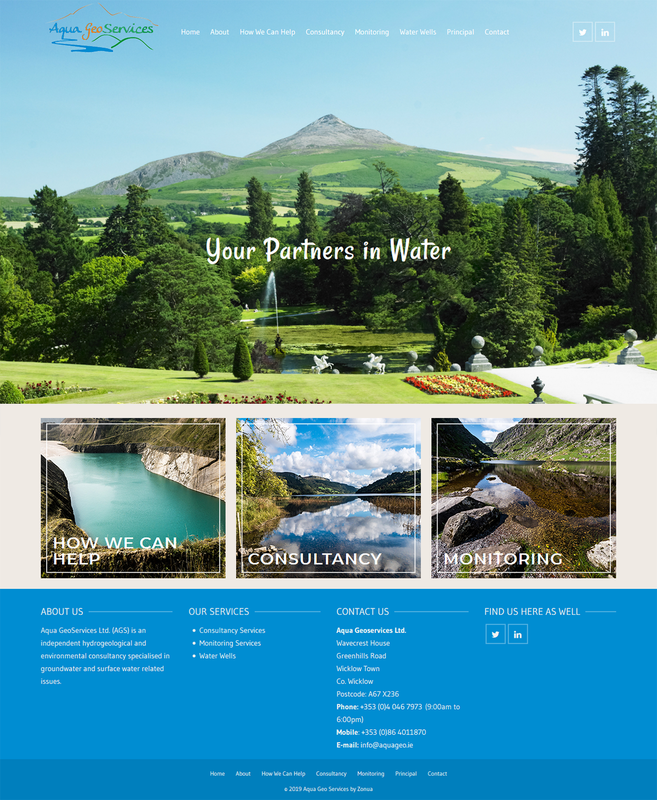 We were delighted to launch this website in 2019, and features original images of the beautiful Wicklow countryside by Zonua, with images from Aqua GeoServices.